The Seychelles takes you to a tropical paradise of pristine white sand beaches, turquoise waters, lush rainforest and colourful coral reefs. Enjoy picture postcard scenery perfect for families, couples and adventurers. Families will enjoy discovering the stunning wildlife in this exotic archipelago of islands, in particular the Aldabra giant tortoises, dolphins and sunbirds. For adventurers, escapades trekking through the verdant rainforest await, in addition to diving in an impressive underwater world adorned with rainbow reefs. Choose from soaking up the sunshine or visiting some of the 115 islands showcasing a stunning array of flora and fauna. Mahe is the largest island, home to the capital Victoria, which effortlessly captures the history and culture of the Seychelles. Visit the 18th Century Sir Selwyn Selwyn-Clarke Market featuring fresh coconut and pineapple, and be sure not to miss the tropical greenhouses of the Seychelles National Botanical Gardens. Mahe is also a superb base for exploring the rest of the beautiful and unique islands. Luxury holidays in the Seychelles offer a wealth of upmarket amenities within the authentic and protected national parks of these beautiful islands. Neighbouring Praslin is home to a jungle national park surrounded by ribbons of golden beaches and rustic villages, while the petite Felicite Island is famous for its granite formations and dramatic coastline. And Silhouette Island is a must see for headland viewpoints, wildlife friendly rainforests and designer hotels. 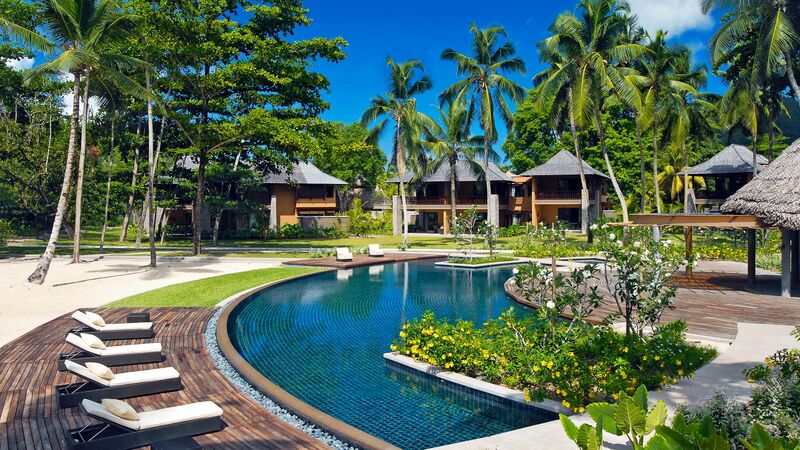 Wherever you choose to stay, Sovereign have hand picked an excellent collection of accommodation in the Seychelles. 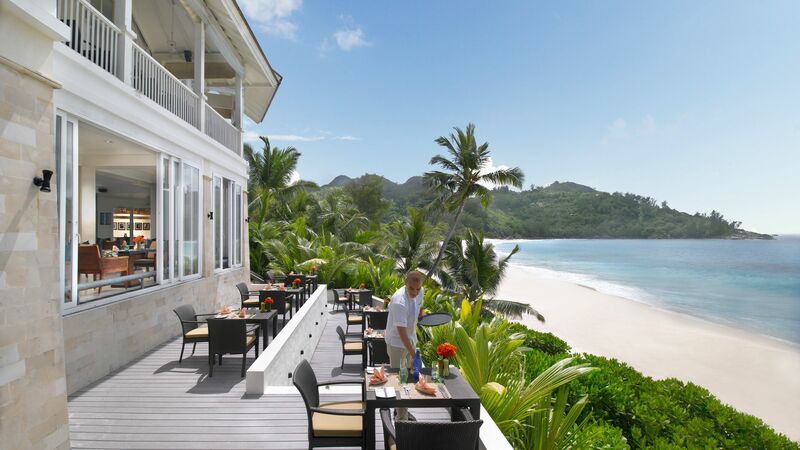 The iconic Banyan Tree Seychelles in Mahe is an excellent choice, offering a deluxe sanctuary perched on a hilltop above one of the finest beaches in the world. 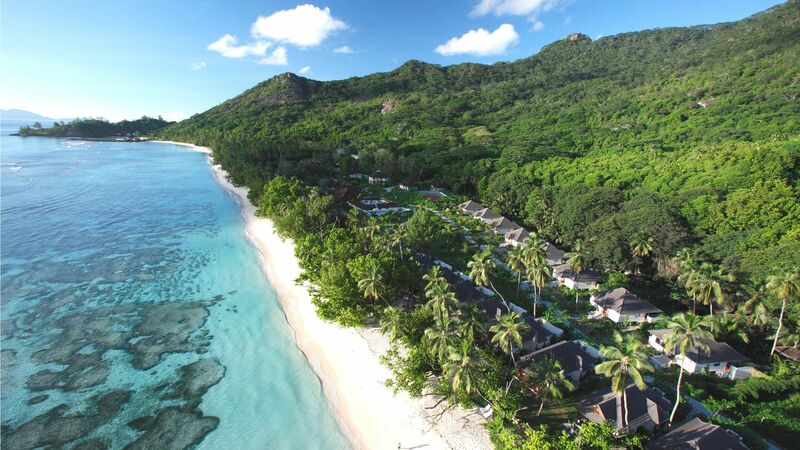 If you are staying on the island of Praslin, the Coco de Mer offers intimate, modern boutique accommodation overlooking the glistening waters of the Indian Ocean. 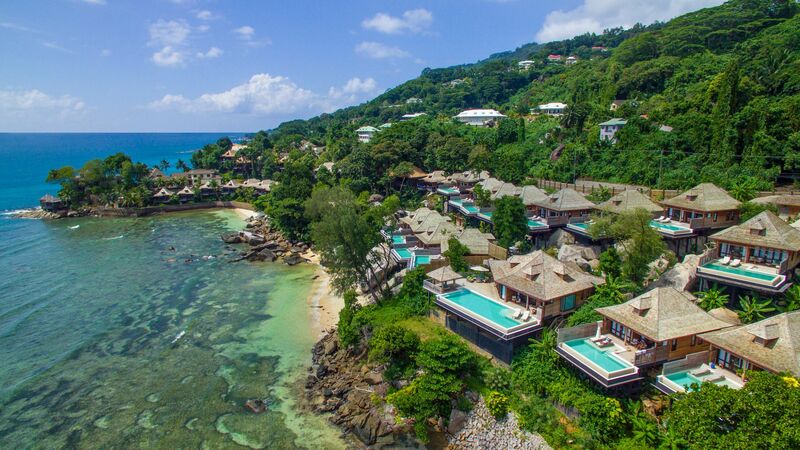 The Six Senses Zil Pasyon is a must for those staying on the private island of Felicite, where guests stay in luxury villas and residences with a private pool and butler service in a secluded paradise. Félicité Island might feel far-flung, but it’s only just east of Mahé. It’s a newcomer on the Seychelles tourist map, thanks to an up-and-coming luxury beach hotel with eco-friendly credentials. Mahé might be tucked away from the world geographically – it’s over 1,500 kilometres from the east coast of Africa – but this little island’s arts, culture and activities scene is alive and well. 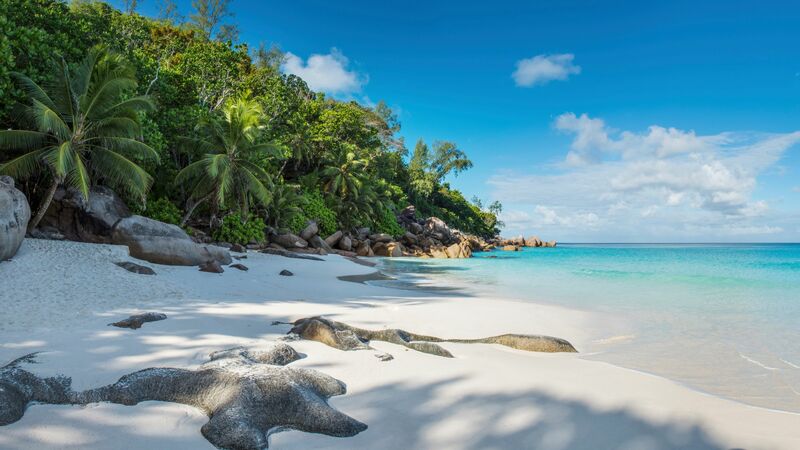 Most holidaymakers bound for the Seychelles head straight to Praslin – a north-easterly island with a dot-and-dash coastline of sandy beaches and first-growth rainforest. Silhouette Island is one of the closest islands to Mahé. It lives up to its name, ducking off the radar with just one hotel, a mountain and a halo of bright white beaches. There’s a reason the Seychelles is nicknamed the Galapagos of the Indian Ocean – some of its islands have got more species per square metre than anywhere else in the world. 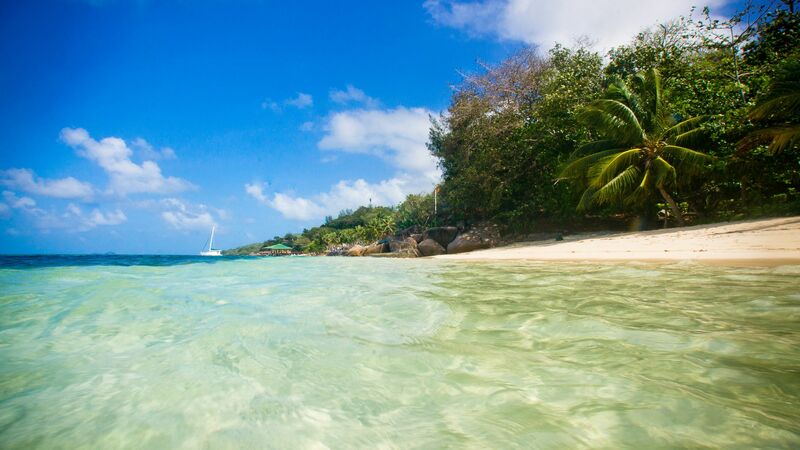 Sainte Anne Marine National Park is just a 20-minute boat trip from the main island, Mahé. The swaying carpet of seagrass is a feast for sea turtles. And there are six islands to choose from, including the giant tortoise sanctuary of Moyenne. Head north-east towards Praslin, and you’ll come across Cousin Island – a protected nesting spot for hawksbill turtles. Nearby Aride Island is home to five species of birds only found in the Seychelles, plus 13 native species, including roseate terns and the Seychelles sunbird. Make sure your childhood vaccines are up to date. The NHS also recommends getting immunisations for hepatitis A, tetanus and typhoid. You could also consider hepatitis B. Speak to your GP for more information. The official currency of the Seychelles is the Seychelles rupee (SCR). Occasionally, hotels might accept US dollars. Like many Indian Ocean island nations, cuisine here is influenced by a whole flotilla of other continents, including Africa, Europe and Asia. Best of all, the Seychelles is so remote that many of the ingredients are sourced in the local forests, gardens and, of course, the ocean. It’s no surprise, then, that seafood is a running theme – fish curries crown restaurant menus, chefs barbecue lobster by the beach, and spicy squid is paired with papaya salad.